Welcome. It seems such a simple idea practiced through friendly greetings, warm invitations, kind receptions, complimentary acknowledgements, and attentive presence. 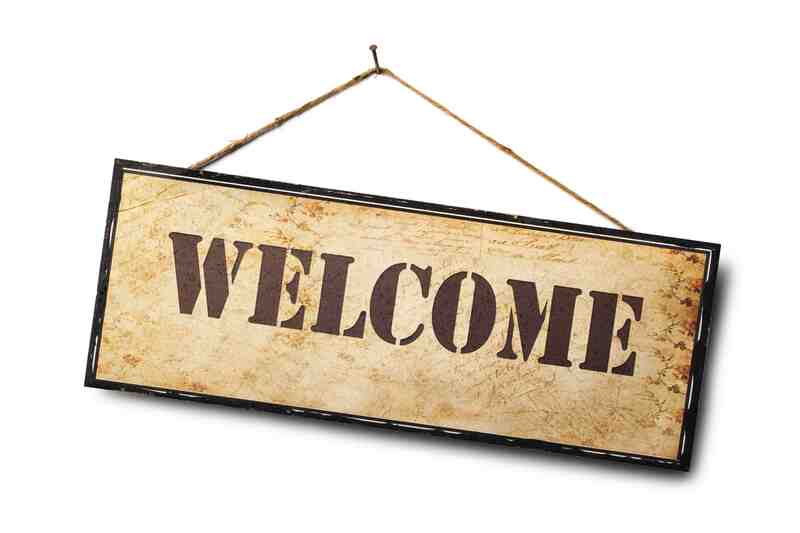 Yet true welcome is far more elusive than we typically think. It is commonly said that beauty is in the eye of the beholder. The same is true for welcome. Try as we might to make someone feel welcomed, we often fail and do not even realize it. What makes one person feel welcome may make another person feel smothered or accosted. While all of these might seem like good ways of offering friendly greetings and giving warm attention to first-time guests, there are plenty of people who are uncomfortable when pointed out or singled out in one of these ways. Some folks just want to be an inconspicuous guest for a service as they determine if a particular church might be a good fit for them. And at the same time, there are plenty of folks who would welcome the attention of being singled out as a newcomer. The point is this: there is no one way to ensure that everyone who comes through our doors feels welcome. In fact, the best welcome strategy may be the one that realizes that welcome is a feeling that is elicited by different things in different people. We must be sensitive to the personality, desires, communication, body language, and requests of any guest in order to most effectively encourage them to feel welcome. Many of us at Hood have verbalized that we are a welcoming congregation. It is typical for a first-time guest at Hood to be greeted by a longtime member with a handshake, a warm smile, a bulletin, an acknowledgement that we are glad they are with us, an invitation to return, and an introduction to a few nearby folks. This is all very good. And yet such greetings are only a small part of what makes folks feel welcome. For some folks, feelings of welcome will hinge on seeing, hearing, or experiencing something familiar (a song, a prayer, an element of liturgy, a person they know, etc). Others will feel welcomed if they hear a sermon that speaks to them or causes them to feel valued and included. Some will feel welcome if they receive a few follow up contacts in the week after they attended a service for the first time. Others will feel welcome if the building is clean, well-lit, and inviting; if there is clear signage pointing where to go at each turn; and if there is a clean, safe and friendly environment for their children. Some will feel welcome because of the warm sound of an organ. Others will feel welcome because of the creative use of guitars and hand-drums. Some will feel welcome if they end up engaged in a deep conversation with someone they met while visiting. Others will feel welcome by a few brief introductions and pleasantries that do not end up in long conversations that keep them from getting in and out quickly. Some folks will feel welcome when they can easily engage in the full life of the church (including getting quickly involved in small groups, committees, and leadership roles). Others will feel welcome if they can simply come to church and be themselves for awhile without being asked to be part of a group or serve on a committee. At the end of the day, we do not determine if we are a welcoming church. Our guests decide if we are welcoming or not. What must we do as a church to be welcoming to everyone we meet? That is a question we will explore over the next few weeks on Sunday mornings through the focus and theme of our services. We’ll look at welcoming strategies and best practices from a variety of different perspectives. We will consider the practices that encourage a feeling of welcome from someone’s first Sunday at our church to their 10th, 100th and 1000th Sunday. We will consider how being welcoming is both a science and an art. I pray that you will join us and engage in a conversation about welcome. Your ideas, experiences, and voice will be crucial as we work together to deepen our experience of welcome at Hood Memorial Christian Church.